Leibniz developed a new notion of individuality, according to which individuals are nested one within another, thereby abandoning the Aristotelian formula at the heart of substantialist metaphysics, ‘one body, one substance’. On this model, the level of individuality is determined by the degree of activity, and partly defined by its relations with other individuals. 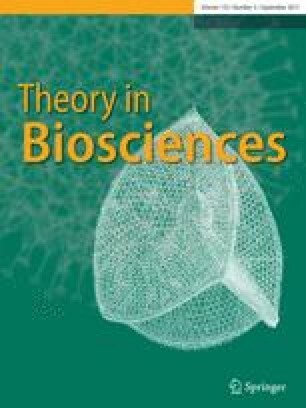 In this article, we show the importance of this new notion of individuality for some persisting questions in theoretical biology. Many evolutionary theorists presuppose a model of individuality that will eventually reduce to spatiotemporal mechanisms, and some still look for an exclusive level or function to determine a unit of selection. In recent years, a number of alternatives to these exclusive approaches have emereged, and no consensus can be foreseen. It is for this reason that we propose the model of nested individuals. This model supports pluralistic multi-level selection and rejects an exclusive level or function for a unit of selection. Since activity is essential to the unity of an individual, this model focuses on integrating processes of interaction and replication instead of choosing between them. In addition, the model of nested individuals may also be seen as a distinct perspective among the various alternative models for the unit of selection. This model stresses activity and pluralism: it accepts simultaneuous co-existence of individuals at different levels, nested one within the other. Our aim in this article is to show now a chapter of the history of metaphysics may be fruitfully brought to bear on the current debate over the unit of selection in evolutionary biology.